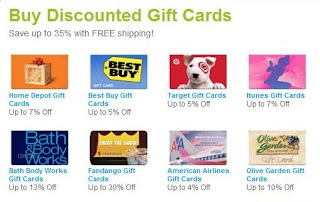 I would love the Fandango gift card! That way I could take my honey to the movies! My Dad always wants Home Depot cards, so that would be my choice! I would buy the Old Navy. Thanks! I'd love a gift card to Target! I would choose the Walmart gift card, if I won. I would choose a Target giftcard. I would pick Target, thanks! I'd choose the Target gift card! Lowes we have a lot of summer projects to do. I liked plastic jungle on fb! I would choose Lowe's! Thanks!! I would love to have the Olive Garden gc. thank you!! I would choose Home Depot. I sent a FB friend request (Sarah Smile). I follow Plastic Jungle on FB (Sarah Smile). I follow Plastic Jungle on Twitter as willitara. I follow Plastic Jungle on Facebook. I'd choose Bath and Body Works. I would choose Sears for our boys to give their father for Father's Day. He's always buying tools of some kind there. I would get Olive Garden if I won. I would pick a walmart card. If I had the chance of winning I would chose the Walmart card because I shop there alot whenever I can afford it.